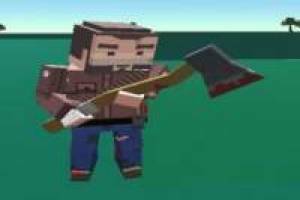 Learn to survive in a hostile world where zombies try to devour you while you have to defend yourself with an ax or a gun. Hundreds of zombies will come out from under the earth in your search and other players can help you neutralize the threats. The player who manages to survive and who gets more casualties will be the one that is ranked number one. Aim and shoot the zombies to survive, although sometimes the best way to get to live is to run. Cooperate with the other players who are online and make the human race win in PixWars. Enjoy the game PixWars, it's free, it's one of our 2 players games we've selected.